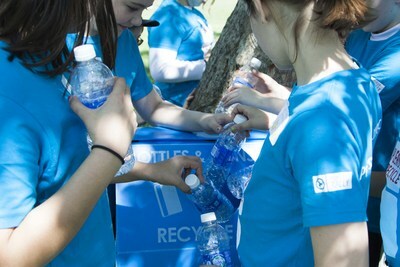 02 Aug 2018 --- The PepsiCo Foundation, the philanthropic arm of PepsiCo, and US nonprofit The Recycling Partnership has announced the launch of “All In On Recycling,” the “largest ever” industry-wide residential recycling challenge which aims to increase the feasibility of recycling for 25 million families across the country. The project aims to provide the families with the resources they need to recycle in higher quantity and with greater ease. The PepsiCo Foundation is providing US$10 million in funding to jumpstart the historic challenge, which is one of the largest-ever public initiatives of its kind. The goal of the challenge is to raise US$25 million in total donations from leading businesses, companies, and organizations. In addition to contributions from other corporations, the more than 2,800 communities that participate in the initiative are expected to triple the collective investment, catalyzing roughly US$75 million in municipal funding, and bringing the total amount of support to US$100 million. Currently, due to lack of infrastructure, widely varying municipal recycling programs, and low awareness of proper recycling practices, more than half of the material that could be recycled from US households is lost, according to PepsiCo. However, the problem is not due to lack of desire: 94 percent of Americans want to recycle more, and would, with easily accessible recycling containers and clear information about proper recycling practices, reports the Carton Council of North America. The Recycling Partnership estimates the “All In On Recycling” challenge will help the US capture 1.9 million tons of quality recyclable materials over the next five years, including 7 billion bottles and cans. This would result in a total greenhouse gas avoidance of 5.5 million tons of CO2 – the equivalent of removing more than 1 million cars off the road for a year. 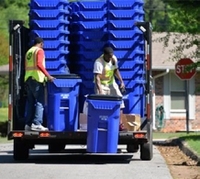 Half of the total funds raised by this challenge are expected to help provide: 1) curbside carts to more than 550,000 households – a proven way to double the number of recyclables recovered; and 2) the missing infrastructure needed to recover recyclables from multi-family homes such as apartment buildings and condos, which is one of the most challenging segments of the population to serve. The other half of the funding will support critical recycling education and operational programs that will increase collection of recyclables while reducing contamination. 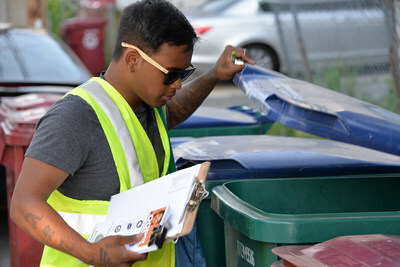 The plan is to utilize some of the funds raised from the bold initiative to provide recycling solutions across the country to cities such as Miami, Florida, and El Paso, Texas, as well as the State of Michigan and the Central Ohio region – to name a few places. This “largest-ever” major residential recycling initiative is part of PepsiCo's signature sustainability program, Performance with Purpose, which aims to deliver sustainable, long-term growth while leaving a positive imprint on society and the environment. By 2025, PepsiCo's goal is to design 100 percent of their packaging to be recyclable, compostable or, biodegradable; increase recycled materials in its plastic packaging; reduce packaging's carbon impact; and, in partnership with the PepsiCo Foundation, work to increase recycling rates. Already PepsiCo and the PepsiCo Foundation have invested approximately US$55 million in recycling efforts in the US in the last 9 years.